The details for the 2018 Bourbon Classic are being finialized now. ModernThirst and friends will be there! This is one of THE premier annual events in Louisville that celebrates bourbon, food, and the whole lifestyle that revolves around it. If you haven’t bought tickets, get on it! Louisville, KY (February 20, 2018) – Bourbon Classic is pleased to announce the details of the events taking place on Saturday, March 3, at the Kentucky Center for the Performing Arts. Saturday will kick off with Bourbon University, an opportunity for Bourbon enthusiasts to learn from industry experts through lively moderated discussions, demos and tastings. attendees will walk away with a better understanding of which bottle to reach for the next time cocktail hour rolls around. What better company could Bourbon keep than with the delicious and rich variations provided by cheese. Session attendees will learn which products work best together and have the opportunity to sample Bourbon and cheese pairings. Bourbon just got a new best friend. Caleb Kilburn, Kentucky Peerless Distilling Co. Craft distilleries are seeing a rise in popularity among Bourbon fans, but what does it mean to be “craft”? A moderated panel of Craft Master Distillers will discuss the creativity, artisanship, and hard work that goes into carving out a niche for these boutique brands. Single Barrel Bourbon is a huge piece of Bourbon culture. 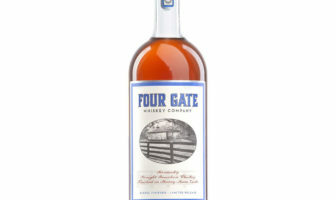 Learn what makes this product unique and sample different types of Single Barrel Bourbons. Making a Manhattan or Mint Julep for two? No problem—but when a houseful of guests come calling, you need bourbon drinks fit for a crowd. Attendees will discover (and taste) bourbon-based punches and scaled-up cocktails, and will learn from the experts how to plan, prepare and execute a bourbon bash at home. This is a focused, one-on-one conversation designed to deliver unique insights into the product and the personalities. Come hear the conversation with famed journalist Noah Rothbaum around the new laws permitting Vintage Bourbon tastings and sales. 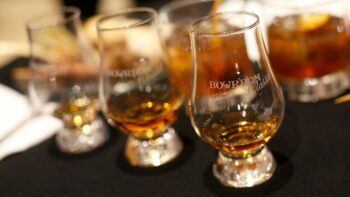 Between Sessions I and II, all attendees are invited to a Bourbon Hot Topics discussion between veteran Bourbon journalists as they discuss what’s trending in the world of Bourbon. Jeff Ruby’s Steakhouse and Milkwood will be available in our Featured Restaurant area. Saturday VIP ticket holders will enjoy exclusive access to the Amber Lounge, which will feature special bourbon tastings from Buffalo Trace Distillery, additional food options and comfortable seating. Special guest bartender and bourbon cocktail extraordinaire, Molly Wellmann, founder and owner of My Old Kentucky Bourbon Bar in Northern Kentucky, will showcase her incredible gift for craft cocktails. Kentucky Straight Ice will also provide specialty, hand carved ice made from natural limestone springs. 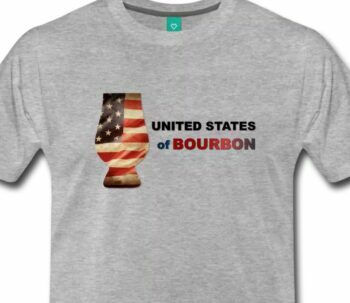 Tickets for the March 1 – 3 Bourbon Classic events are available at BourbonClassic.com. Tickets to the February 28 event, Top Shelf, are sold out. The Bourbon Classic was co-founded by Tony Butler of FSA Management Group, an event planning company based in Louisville, and Justin Thompson and Seth Thompson, of The Bourbon Review.